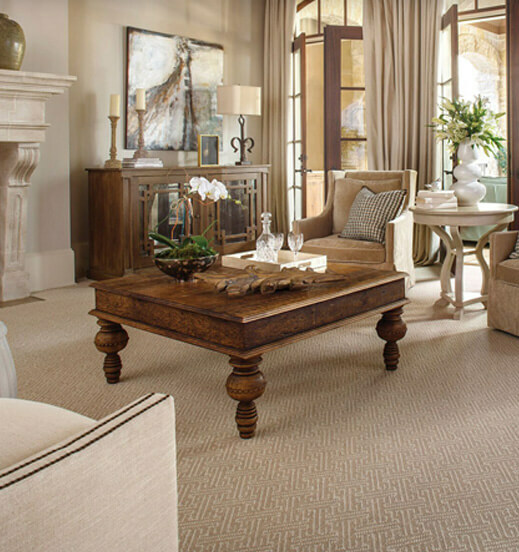 We carry a complete selection of area rug padding for your home- whether you’re going to lay your rug onto hard surface or carpet, we have an option for you. A foam-based pad with a waffled texture- Sultan is our most basic non-slip pad for hard surfaces. A thicker version of Sultan, Cush-n-Hold is one step up in regards to cushioning. This is our best seller in rug padding! This reversible pad has 2 sides, making it versatile enough to use on carpet, or tile surfaces. The textured, fibrous side should be laid face down for carpet. The rubberized side should be laid face down for tile & stone. This product will also prevent telegraphing of the grout lines through the rug.